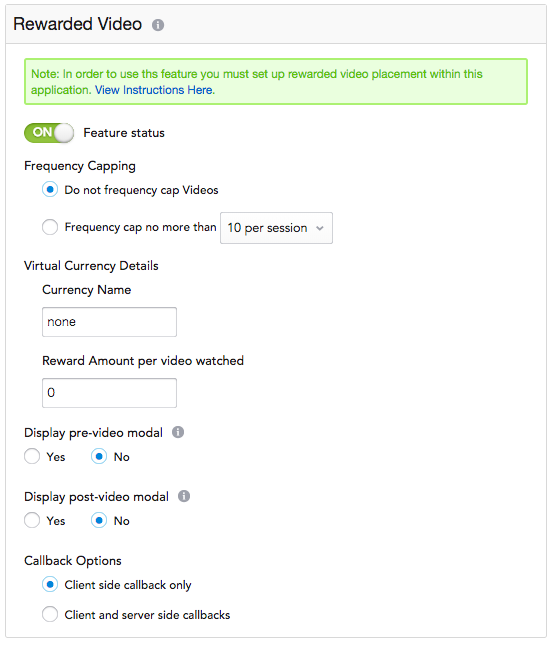 Before integrating Rewarded Video into your application, please be sure it is turned 'ON' in the Manage Apps section. Note: Test Mode may take up to 30 mins to take effect. It will also automatically turn back OFF after 2 hours.